We have delivered the win, but we still have a lot of work to do. 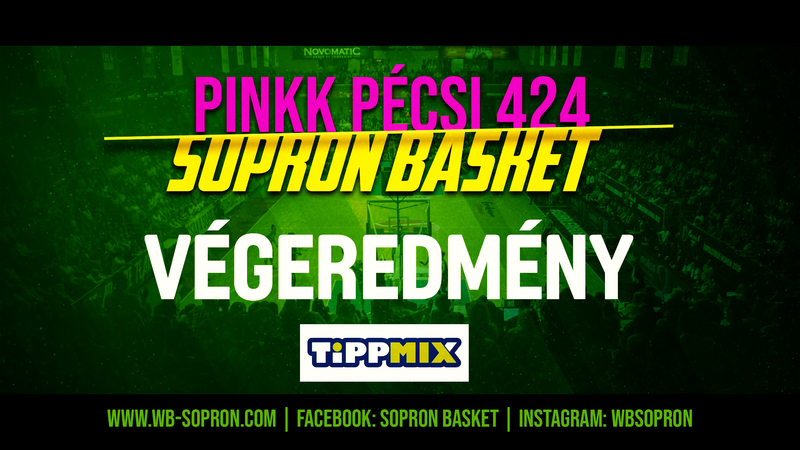 Our first road game called us to the home of PINKK-P�csi 424, for whom this game meant the home-court debut in the season. Because of some technical issues the game started a bit later, and that was visible on both teams (5th minute 8-7). In the 7th minute R�ka Sz�cs scored the first triple of the game, to which Debi Dubi answered back with a lay-up after a nice penetration. Sz�cs"s next attempt from behind the three-point line did not hit the target. The home team called a time-out (11-13). After the short break Yvonne, who had her birthday today hit one from downtown, and so did Cukic at the other end (9th minute 14-16). The last successful offensive possession of the quarter was led by Candice, who put the ball in the net right when the buzzer rang (16-20). Debi has assisted Amanda quickly twice in a row to increase our lead all the way up to eight points (11th minute 16-24). In the 13th minute Markovic cut the deficit in half, but then Yvonne came up with another triple (14th minute 23-30). Following Zs�fi Fegyverneky's triple in the 15th minute the difference has reached double digits for the first time during the game (23-35). In the second half of this period the difference varied between 10-12 points. In the 19th minute Roberto Iniguez called a time-out (30-42). After Yvonne's triple the home team still had time to counter, and we fouled Cukic, who made three free throws, because we also received a technical foul for the bench (34-47). Our hosts started the second half better, they quickly put five points on the scoreboard. Just before they got excited Aleks restored the difference with a well-aimed triple (22nd minute 39-50). We maintained a secure lead, in the 25th minute the difference was already 14 points, which forced the next time-out for the home side (42-56). The flow of the game didn't change, we have increased our lead with some nicely choreographed offenses (48-67). We have managed to find Betti in the paint multiple times, which was noticed by head coach Mikl�s Laczka, who immediately called a time-out (33rd minute 51-73). In almost four minutes the teams were able to score only once. Except for Angela's jump shot there were only missed attempts during this stage of the game (51-75). We have gone through the last ten minutes with only 6 points scored by the home side and scored 15, which resulted in a 28-point win (54-82). We will play twice next week. On Wednesday we will travel to Zalaegerszeg, and then host Gy�r on Saturday in Novomatic Ar�na. Roberto Iniguez: We have won the game, but lost a day.